OK — it looks like the kinks have been worked out of this one. My apologies for the confusion this morning. 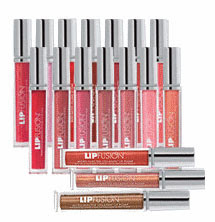 Now, the first 10,000 people who become fans of Fusion Beauty Fusion on Facebook will get a Free LipFusion XL mini deluxe gloss!